World Golf Awards has revealed that the five-star La Manga Club resort, an unrivalled sports and leisure paradise in south-east Spain, will host its Gala Ceremony 2017 at the end of this year. The most prestigious awards programme in the golf tourism industry will take place at the famous venue in Murcia, from 23-26 November 2017. Attendees will be welcomed to Spain's flagship resort for three action-packed days of unrivalled networking events, dinners and exclusive golf experience activities. The highlight of the event will be the red-carpet World Golf Awards Gala Ceremony on Saturday 25 November, where golf tourism figureheads and market leaders from North America, Europe, Asia, Middle East, Africa, Central & South America and Australasia will gather together at La Manga Club's Hotel Principe Felipe for the 2017 winners to be announced. "The team and I are beyond excited to be bringing the World Golf Awards to Spain for the first time," commented Chris Frost, World Golf Awards Managing Director. "We look forward to welcoming industry leaders and luminaries to La Manga Club, Spain's most exclusive sports and leisure resort, in November and I know it will be a weekend to remember." Set across an area of 1,400 acres, La Manga Club has been at the forefront of European sports and leisure destinations since its inception in 1972. Featuring three 18-hole golf courses, a nine-hole academy course and outstanding practice facilities, La Manga Club has enjoyed a rich golfing history over the last four decades. Golfing legends Gary Player, Arnold Palmer and Seve Ballesteros all figure prominently in its past, while its array of other outstanding sports and leisure amenities, bars and restaurants has helped establish La Manga Club as a firm favourite with golfers worldwide. The official overseas training base of the Lawn Tennis Association (LTA), the resort's unrivalled facilities as a sports and leisure destination also include a 28-court tennis centre and a 2,000sqm spa and fitness centre. In addition, La Manga Club features the choice of a five-star hotel, four-star serviced apartments and townhouses and more than 20 bars and restaurants. José Asenjo, General Manager of La Manga Club, said: "It's a great honour and privilege to be chosen to host the World Golf Awards for the first time, in what is a landmark year for the resort as we celebrate our 45th birthday. "Every year the event attracts some of the most respected figures in the golf industry, and we're very excited to have this opportunity to showcase our numerous world-class golf and leisure facilities to a key global audience and look forward to welcoming everyone here in November." Voting for the World Golf Awards is now open and will conclude on 1 October 2017. For nomination information, please visit the official website, worldgolfawards.com. 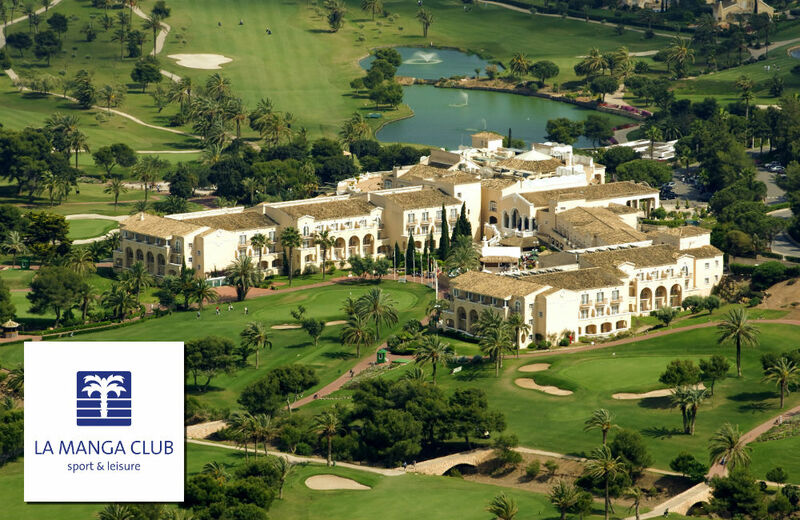 For further details about La Manga Club, go to www.lamangaclub.com. The 2017 World Golf Awards will focus on the leading 130 nations who are shaping the future of this dynamic industry. While celebrating and rewarding excellence across golf resorts, courses and the golfing destinations throughout the world, World Golf Awards 2017 will strive to ultimately raise the golf tourist customer experience and stimulate both the domestic and international golf tourism market. Votes will be made by professionals working within the golf travel and tourism industry – senior executives, travel buyers, tour operators, agents and media professionals. Votes may also be cast by the public (golf tourism consumers). The voting works on a first-past-the-post system to ensure impartiality and independence. Votes are submitted online via the World Golf Awards website. The winners of each national category will go head-to-head with the winners of the other countries before the unveiling of the World Winners. World Golf Awards is the sister organisation of World Travel Awards, currently celebrating its 24th anniversary. Located in a magnificent natural environment next to Calblanque National Park and the Mediterranean Sea, with a mild year-round climate and enjoying exceptional security and privacy, the exclusive resort of La Manga Club (Los Belones, Cartagena, Murcia) offers luxury, leisure and sport in the same place, and is set just 20 minutes from Murcia airport and an hour away from Alicante. Founded in 1972, the resort now covers an area of 566 hectares containing accommodation, professional sports facilities, relaxation zones, first-class redevelopment and a private community of 2,300 residents, in a region which boasts more than 350 days' of sun and is surrounded by natural parks and untouched beaches. Additionally, there is the opportunity to rent a property, purchase a plot of land or buy any of the villas already available that have been built on the complex, and benefit from the services and commodities that a five-star hotel has to offer, such as the sports facilities on the resort. With the variety of activities and facilities available, La Manga Club has firmly established itself as one of the best sports and leisure destination resorts in Europe, and has been the proud recipient of a host of prestigious international awards and accolades over the last four decades. For more information on La Manga Club contact Pete Simm on +44 (0) 1730 711920 or email [email protected].